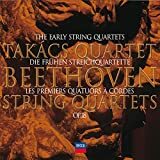 Roger Tapping is a known quantity among chamber music aficionados in Washington – especially those who have followed the Takács Quartet’s performances when he was on violist-duty for that formidable group. Since leaving the Takács Quartet in 2005 to spend more time with his family, Roger Tapping has continuously shown up in performances with (often very young) quartets at the Corcoran Gallery and Bethesda Music Society where he performed all of Mozart’s String Quintets with the Jupiter, Parker, Daedalus, and Auryn Quartets. Last January he joined the Klavier Trio Amsterdam for the Fauré Piano Quartet. Retiring from playing in a professional chamber group must be tantamount to enjoying a new life. Instead of being on tour four, five weeks at a time, Tapping – who had previously served in the Raphael Ensemble and the Allegri Quartet – is now away from home for only a few days at a time. This not only means that Tapping can enjoy family life and focus more on teaching at the New England Conservatory but also that he can observe other string quartets he performs with from a detached point of view. Being one step removed, the intricacies of quartet–life become “sociologically interesting”: to see how four young players approach musical problems or react to new music; to observe how veteran groups resolve their differences in as many different – and the same – ways as, for example, married couples might approach theirs. 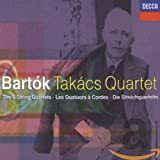 Though the occasional, wistful pangs of nostalgia for the Takács days still occur, Tapping – who recently spoke to me about his current activities and plans – seems to quite enjoy his newfound peace and the ability to moonlight with great chamber groups, both young and established. 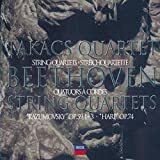 For example the Pražák Quartet which Tapping attested to feeling immediately comfortable with – perhaps because their wonderful balance of vigor and warmth is, at least to my ears, related to the playing of the Takács. Roger Tapping also plans on doing more viola recitals – such as will take place this Friday, the 29th at La Maison Française (7.30PM) where Tapping and pianist Judith Gordon will present a diverse program of Bach (a Gamba Sonata) , Fauré (Après un rêve), Hindemith (Sonata for solo iola), Schumann (Adagio & Allegro op.70), and Shostakovich (Sonata op.147). These recitals (and concerts) are an aspect of a non-chamber violist’s life he finds most pleasing, not the least because getting to play the melody for more than just two bars at a time is a completely new experience. After talking about his present and future plans, I could not help harking back once more on his time in previous chamber groups. With the Raphael Ensemble from 1983 until 1990 he played alongside composer/performer Sally Beamish and participated in highly regarded recordings on Hyperion, including the Brahms, Dvořák, and KorngoldSextets. With the Allegri Quartet he got to play next to the Pablo Casals student Bruno Schrecker who Tapping recalls fondly as the best bass line player he’d met. 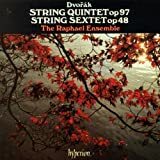 With this longest continually performing of British string quartets he played from 1990 until 1995 when, seeking a clean break in his private life, he auditioned for the Takács Quartet who needed to fill the violist’s seat after Gábor Omai had passed away. 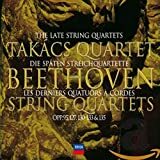 The finest way to enjoy Mr. Tapping’s art, short of attending his recitals and concerts in the region, is through his recordings with the Takács Quartet and Raphael Ensemble. On the right I have listed some of my favorites in which he participates – none of which I would want to be without. The recital at La Maison Française will be recorded by WETA and broadcast later in the year.